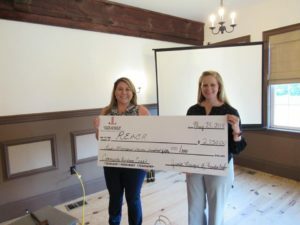 Congratulations to REACH (Reading Enriches All Children), the recipient of the 2018 Junior League of Hampton Roads Community Assistance Grant! They were honored at our annual May Dinner Celebration at Williamsburg Winery. REACH received $2,750, which will go towards their Moonbeams and Sweet Dreams initiative. The number one predictor of literacy success is access to developmentally-appropriate books in the home. Unfortunately, low-income communities only have 1 developmentally-appropriate book per 300 children, compared to 13 books per child in middle class communities. To combat this, REACH has developed the Moonbeams and Sweet Dreams initiative. This initiative will provide board books to low-income families in downtown Newport News, as well as training to parents on early literacy strategies, such as picture walking. 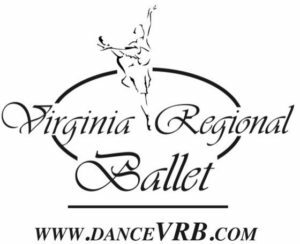 Virginia Regional Ballet received $250 for their Dance Stars program. This program provides carefully designed programs for children with a range of disabilities (physical, emotional, and neurological). If you are interested in applying for our 2019 Community Assistance Grant, please read below. The Junior League of Hampton Roads, Inc. (JLHR) is now accepting applications for the JLHR 2019 Community Assistance Grant! Grant funds, with a maximum non-renewable award of $4000, are available to nonprofit organizations operating in the JLHR’s service area. Eligible organizations address the well-being of women and/or children in the communities of Hampton, Newport News, Williamsburg, Poquoson, James City County, York County, Gloucester, Smithfield, and/or Isle of Wight. Determination of award(s) will be based upon a competitive evaluation of all eligible applications. A total of no more than $4000 will be awarded to the grant recipient(s). Successful applicants are required to provide a 6-month update and final report documenting how the grant funds were used. Funds not used within 12 months of the award date must be returned to the JLHR. Failure to comply with reporting and fund use requirements may jeopardize the organization’s ability to receive JLHR grant funding in the future. JLHR Community Opportunity Grant funds may not be used to support the following activities: ongoing operative expenses (including administrative costs), equipment not related to the requested funding, annual requests (such as scholarships, religious events and yearly membership drives), political campaigns or parties, and/or loans or grants to individuals. Additionally, please note that organizations may not receive JLHR grant funds for more than two consecutive years. Organizations currently benefiting from JLHR community outreach and volunteer or partnership agreements are ineligible to apply. Cover letter: Information in the letter should include the primary contact person’s name, phone number, email and mailing addresses; a brief overview of the organization; and discussion of any previous financial support received from the JLHR. Note: Completion of all components of the electronic application will meet all of the above qualifications. The successful applicant(s) will be announced at the Junior League of Hampton Roads’ annual May Dinner. Please call (757) 873-0281 or e-mail CommunityAssistanceGrant@JLHamptonRoads.org for more information.